Whether or not you're serving the traditional Jewish gefilte fish, here are 5 great fish recipes for this year's Seder. 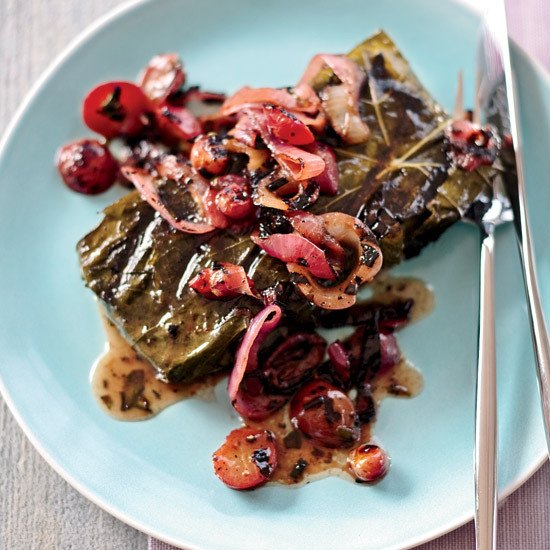 Wrapping rich bluefish fillets in briny grape leaves is a delicious combination. Fennel is used three ways in this fast dish. Andrew Zimmern's simple dish is made with raisins and lots of fresh herbs. This fast salmon gets delicious flavor from a white-wine broth. Ready in just 30 minutes, these healthy sea bass fillets are great with an herbal Sauvignon Blanc.